Tufts of ermine mingled with its foxy red and grey, and half concealed among grasses, a fox sparrow comes into view for a moment. Look at all that white on its head! 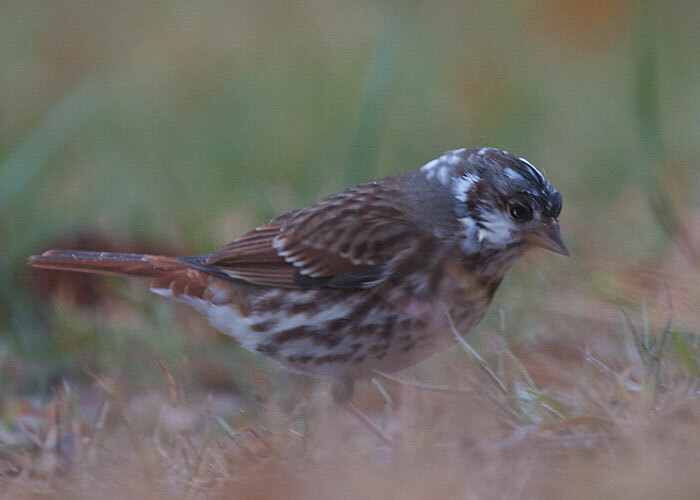 I've never seen a fox sparrow like this before.